The Blue Note Jazz Club in NYC is proud to present the music of Omar Sosa’s Quarteto AfroCubano from March 31st until April 3rd each night beginning at 8pm. Be sure to buy tickets to this wonderful event by clicking here. Recently, I interviewed Chef Leticia Moreinos Schwartz, author of The Brazil Kitchen and My Rio de Janeiro: A Cookbook at the Institute of Culinary Education (ICE) in New York City. The interview focused on the cuisine of her native Brazil and its African culinary influences. Coming soon, we’ll bring you our interview with Chef Leticia, her photos from Salvador da Bahia, Brazil (the center of the country’s African roots) and a recipe or two. Until then, I share with you photos from “The Best of Latin Baking.” Chef Leticia invited me to observe this class which she was teaching immediately after our interview. Sharing these delicious desserts would not have been possible without the cooperation of the students. I sincerely appreciated their willingness to be photographed especially since this was not a planned blog post. It’s safe to say that “The Best of Latin Baking” would not have run so smoothly without the support of Will, ICE Culinary Assistant. He showed the students how to operate every appliance and worked his magic, appearing, disappearing and reappearing with whatever ingredient was needed. And special thanks to Chef Leticia, who freely shared her warmth, generosity and knowledge of Brazil and its wondrous cuisine. Click on an image to open a slideshow and see the full-sized photos. Maria making Brazilian thumbprint cookies. Jenny with baked Thumbprint cookies. Dulce de Leche Brownies. Photo courtesy of Chef Leticia. Did you miss the Speaking to Harmony Radio Show? Our founder Kim Haas was a part of a panel to discuss “The Other America – The Legacy and Struggle of Afro-Latin America” with the goal of widening the notion of the African Diaspora, and to discuss the cultural heritage of the Latin American region. Don’t worry, the show has been archived and is available for you to listen to here. We are very excited to announce that our founder, Kim Haas, will be a part of a panel on the Speaking to Harmony Radio Show, which is organized by the Sisters in Harmony. Kim will be joining four other panelists, hosted by Sister Calhoun and Dr. Walls, to discuss “The Other America – The Legacy and Struggle of Afro-Latin America” with the goal of widening the notion of the African Diaspora, and to discuss the cultural heritage of the Latin American region. We hope you will be able to listen in to the discussion. Feel free to call in with any questions or comments you have. Find out more info on the Facebook event page and feel free to invite your friends. If you are in NYC and attending the conference, join the conversation from 10 – 11 a.m. in the Park Avenue Suite South. Even if you aren’t attending the conference, join in the conversation. Feel free to leave your thoughts on the above questions in the comments section below or join us on Facebook or Twitter. Find out more info about the panel and conference. Seeking to unite the diverse Afro-Latino populations, Tania Molina, a proud Garifuna, reached out to her friend Mai-Elka Prado, an Afro-Panamanian. Together, the two Afro-Latinas created the 1st Afro-Latino Festival of New York held Saturday, June 29 at Brooklyn’s Parkside Train Station Plaza. In the United States, there are an estimated four million Afro-Latinos – the great majority of whom reside in the New York City area. From countries as different as Andean Peru and tropical Cuba, to the Garifuna population of Central America and to the innumerable descendents of Afro-Latinos who may have never set foot in their parents or grandparents homeland, this mega city of eight million is home to Latin America’s African Diaspora. 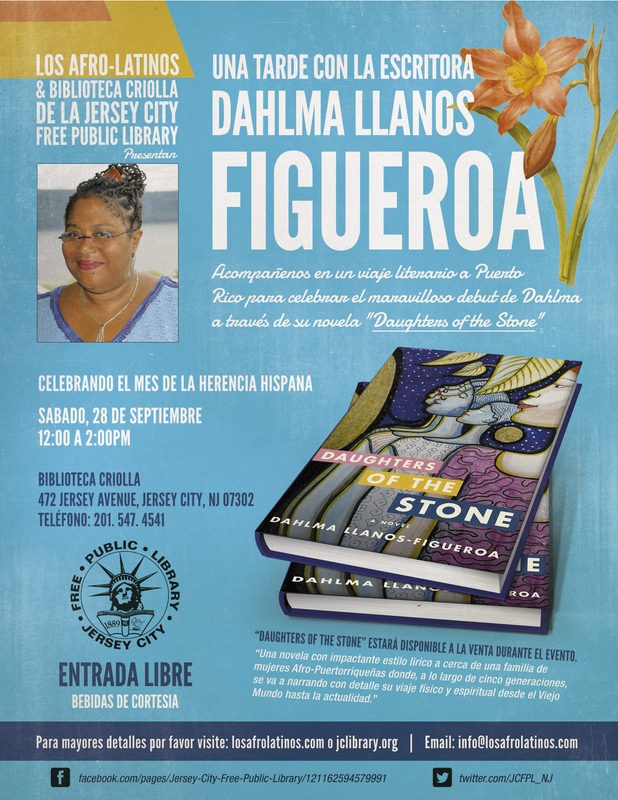 We are pleased to announce that our event with Dahlma Llanos-Figueroa has been rescheduled and will now take place on Saturday, September 28 from 12 – 2 p.m., and will be hosted at the Jersey City Free Public Library. 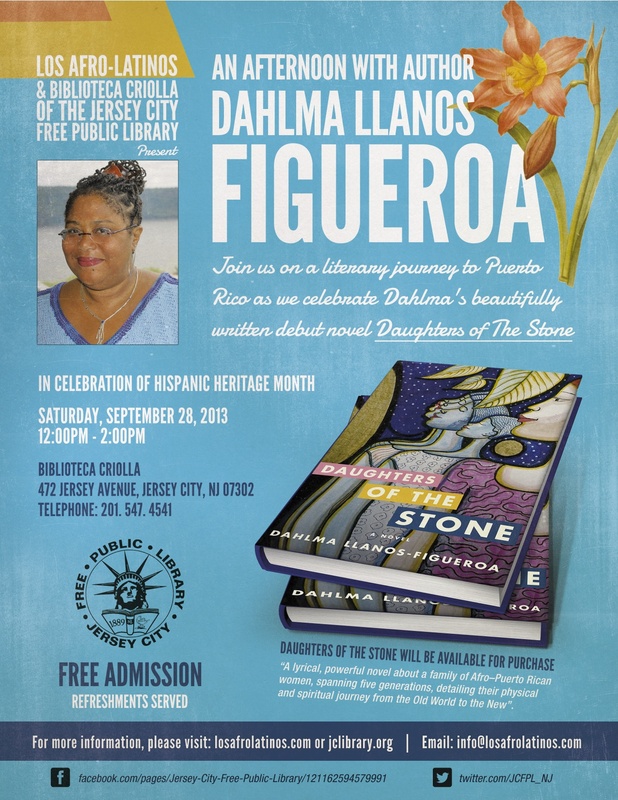 Los Afro-Latinos and Biblioteca Criolla of the Jersey City Free Public Library present: An Afternoon with Dahlma Llanos-Figueroa. Join us on a literary journey as we celebrate Dahlma’s debut novel Daughters of the Stone. Dahlma Llanos-Figueroa is an Afro-Puerto Rican and wrote Daughters of the Stone to share the rich legacy of African cultures in Puerto Rico. Read more about Dahlma and her motivation to write this novel here http://bit.ly/WSqzDs. 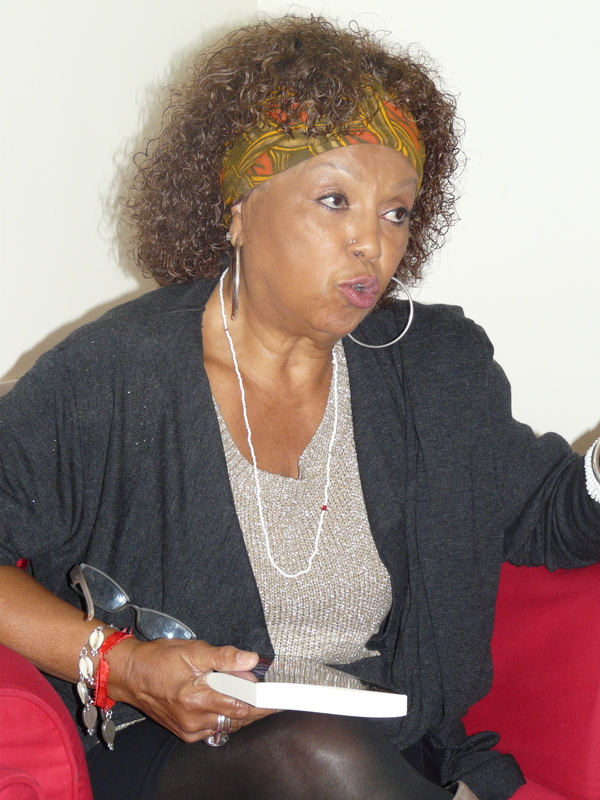 Dr. Marta Moreno Vega has been leading the charge for Afro-Latino recognition and cultural identity for decades. 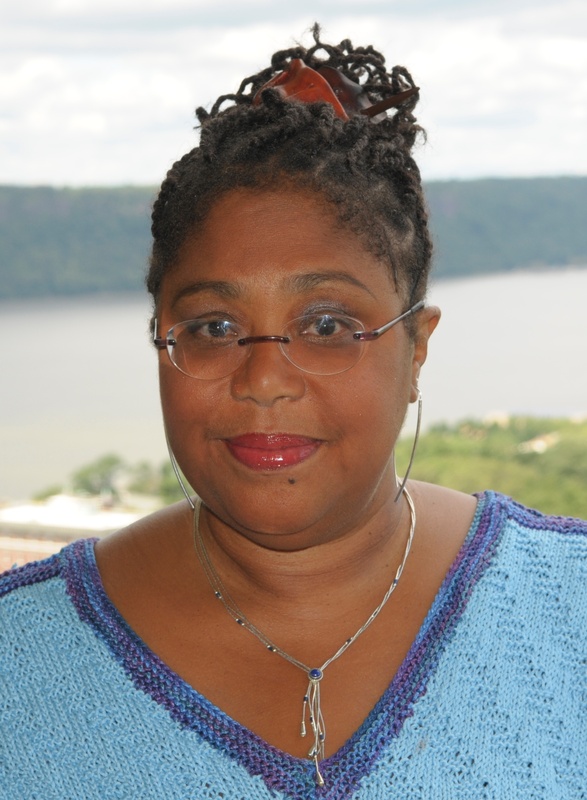 As Founder of New York City’s Caribbean Cultural Center’s African Diaspora Institute, she has a distinguished career as an activist, scholar and filmmaker advocating for Afro-Latino issues. We’re excited to announce that we’ll be hosting our first live Twitter Chat. 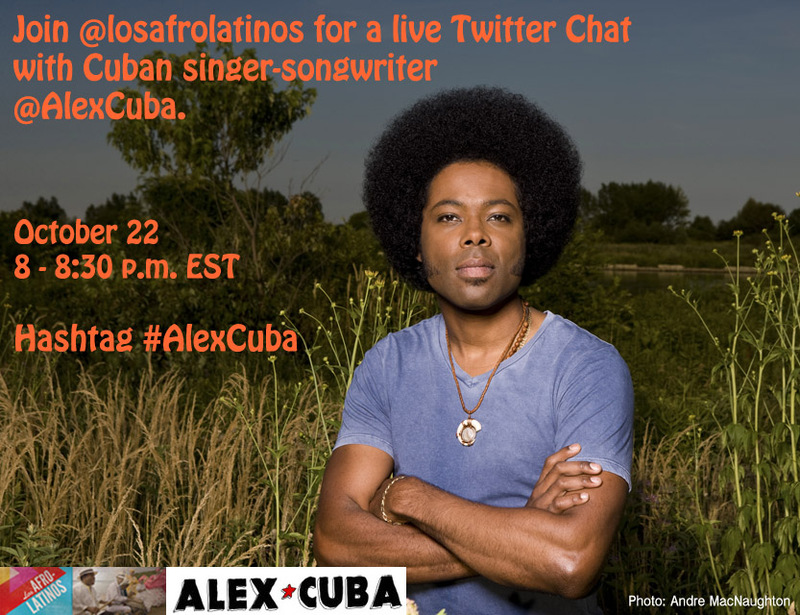 Our guest will be Latin Grammy winner, singer-songwriter, Alex Cuba. Join us for a discussion on his music, life, career, and a chance to win a signed copy of his CD.